About Hialea Colors - The Gathering: (from their website): Step back in time to an era of grand celebrations and palatial surroundings. A South Florida mainstay for over 90 years, Hialeah Park is set within 200 acres of lush landscape, verdant gardens, and 16th Century French Mediterranean architecture. 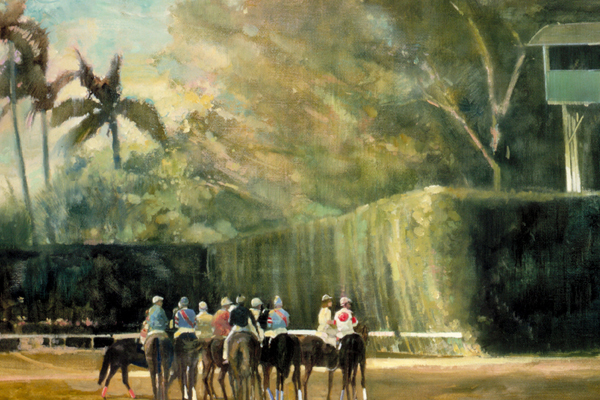 Known simply as “The World’s Most Beautiful Race Course,” Hialeah Park is “eternal, magnificent, and historic.” Holding the distinction of being an Audubon Bird Sanctuary with Flamingos on site and being listed on the National Register of Historic Places, Hialeah Park remains iconic and rich in tradition.